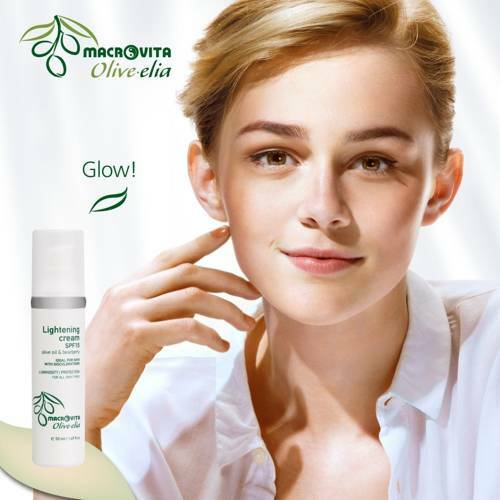 MACROVITA OLIVE-ELIA SKIN LIGHTENING CREAM olive oil & bearberry 50ml - the best natural cosmetic available at www.ETERNEL.pl in category OLIVELIA by MACROVITA Facial Care. We recommend! MACROVITA OLIVE-ELIA SKIN LIGHTENING CREAM: Effectively removes discolorations of the skin (scars, solar stains, age, freckles) and prevents the formation of new ones. Cream is rich in complex MULTIFRUIT (blueberry, orange, cane and maple sugar, lemon). 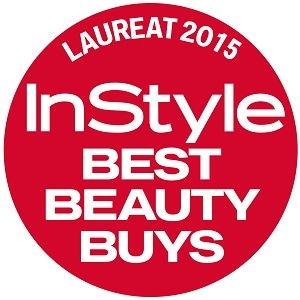 Awards & Distinctions: BEST BEAUTY BUYS 2015 by "InStyle Magazine"
You save 11% (2,33 EUR). MACROVITA OLIVE-ELIA SKIN LIGHTENING CREAM olive oil & bearberry has received an award at the prestigious BEST BEAUTY BUYS 2015. Selection was made by the editors of the "InStyle" magazine with the best experts in the field of beauty. During the tests, they have checked more than 2.000 cosmetics and selected absolutely 267 the best! Cream effectively removes discolorations of the skin (scars, solar stains, age or freckles) and at the same time prevents the formation of new ones. The cream is rich in natural lightening ingredients derived from organic plantations. The addition of plant extracts rich in arbutin of bearberry and special ingredient - MULTIFRUIT (special composition of extract of blueberries, oranges, lemons and bio-added cane and maple sugar) operates bleaching the skin and makes the cream is a unique one, which allows for the elimination of unwanted discoloration in a completely natural way. Formula without parabens, mineral oil free (paraffin), silicone, petrolatum, propylene glycol and genetically modified plant extracts (GMO FREE). Clean the skin with cosmetic from series MACROVITA. Apply the cream on the skin of the face, spot on site or over the entire surface which should be lightened. Avoid the eye area. BEST BEAUTY BUYS 2015 by "InStyle Magazine"
In edition of BEST BEAUTY BUYS 2016, organized by the "InStyle" Magazine, MACROVITA cosmetic gained the right to use this prestigious title. The jury recognition gained MACROVITA OLIVE & ARGAN HYALURONIC BEAUTY ELIXIR with argan stem cells. Selection of the best beauty product was made by editors of "InStyle" Magazine with the best experts in the field of beauty. During the tests, they have checked more than 1,000 cosmetics available on the market (represented by more than 300 brands) and among them 123 were selected as absolutely the best! MACROVITA OLIVE & ARGAN HYALURONIC BEAUTY ELIXIR includes innovative stem cells obtained from selected argan trees. The cosmetic accelerates the process of skin regeneration and significantly reduces wrinkles.